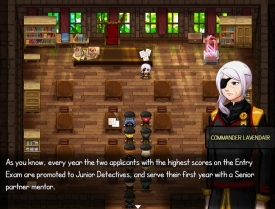 "An interactive visual novel and RPG style game"
The Roze Case starts out as an interactive visual novel where the first interaction is actually your final school exam and you will have to use some educated guesses to try and complete your last exam before you become a fully-fledged detective (only available to the two highest people in the class), however during your exam an incident occurs and it seems everyone will be needed to help solve this case. 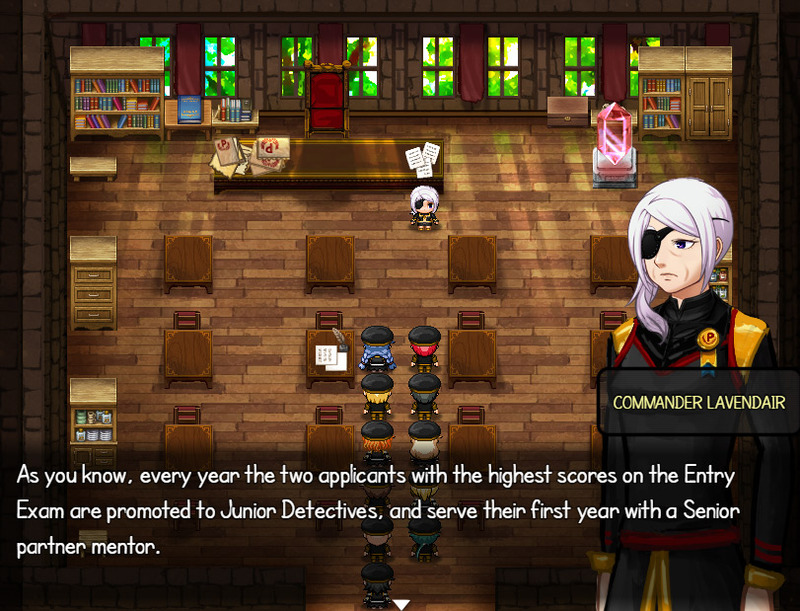 After the school setting the game turns in to more of an exploration RPG and you will need to make your away around and try to solve the mystery of the murder that has just occurred. 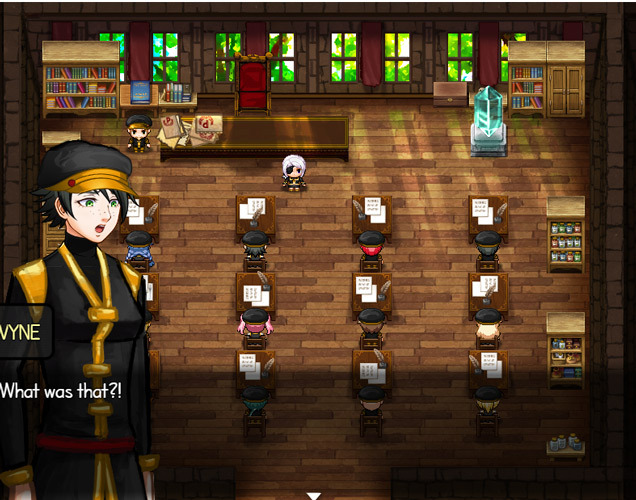 The Roze Case is really nicely animated and quickly draws you in to the game, the interactive side of the game should keep you engrossed and fans of anime style artwork will be in for a treat enjoying this. Unlike many visual novels there is plenty of player interaction meaning you are not so much just watching a story but being involved in it makes this game such a better experience. You can download The Roze Case here for free.